This past December 31st, my kids adopted their first dog. It was a long time coming, as the dog had to wait until after our trip overseas. It's been a great experience for the girls, and my youngest (at least) is taking the role of responsible pet owner with tremendous enthusiasm. Needless it say, it was a major acquisition for the family. The Reds made not-quite-so-major an acquisition that same day when they traded Ben Lively for Marlon Byrd and $4 million. This apparently "solved" their left field situation for next season, with a same-cost club option for 2016. Lively was the Reds' 4th round selection in 2013 out of the University of Central Florida. His 2014 season, his first full professional season, was one worth talking about. 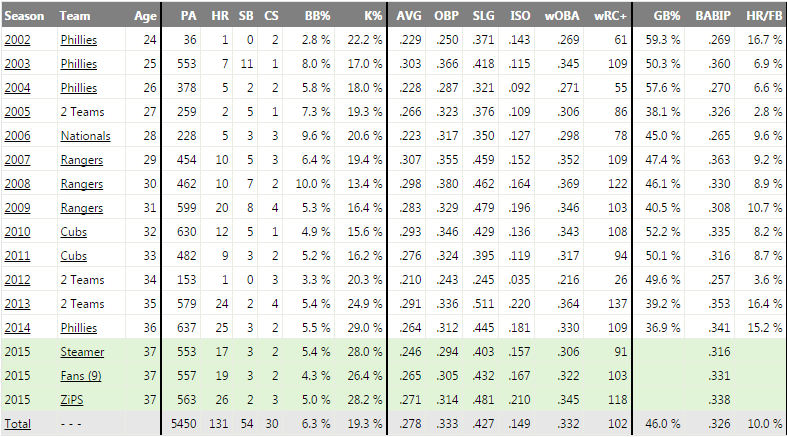 I tend to be fairly ignorant of what is happening in the minors, and yet it was hard to not be excited by what he did last season. After mowing through high-A in breathtaking fashion, Lively was promoted mid-season to Pensacola where he continued to be effective. He continue to pile on the strikeouts, the hallmark of his career thus far, though he showed a surprising spike in his control rate. Nevertheless, his numbers were solid enough, and he looks ready to jump to AAA in the 2015 season, and maybe even the majors by the end of the season. Both ZiPS and Steamer think he wouldn't embarrass himself this year in the majors. With the exception of that AA walk rate, he had everything you might hope for in a minor league pitching line. 13. Ben Lively, RHP Lively was a 4th round pick out of UCF in 2013 and has beat expectations so far, with 79 stellar innings in the hitter-friendly Cal League this year before 72 more solid innings in Double-A. Lively’s performance may overstate his raw ability a bit; he’s a back-end starter that sits 90-93 and hits 95 mph with four average-ish pitches, led by a slider that’s a 55 at times. There’s deception and about average command; Lively’s delivery isn’t great but he manages to make it work for him and he throws strikes. Well, that might explain the Reds' thinking. McDaniel is arguing that Lively is one of those polished college arms that can carve up low-minors hitting, but doesn't have the stuff to play at the higher levels. Lively is still a legitimate MLB prospect, perhaps it's more like a future Tommy Milone than a future Max Scherzer. Milone might be a nice comp, because he had a similar contrast between his scouting reports and his performance prior to reaching the major leagues. Across four seasons, Milone has been a useful starter, but we're seeing the limitations of his skills. ... Then again, Milone throws 87 mph, while Lively sits in the low 90's, so maybe the comp doesn't work. Marlon Byrd was the Phillies' 10th round selection out of Georgia Perimeter College back in 1999. Despite his lateish-round pedigree, he quickly mashed his way onto prospect lists, peaking at #26 with both speed and prodigious power displays in the minor leagues. He reached the majors as a 24-year old, and was starting the next season. After an excellent rookie campaign, Byrd struggled for a while through his late 20's, ultimately was traded to the Nationals, and then signed on with the Rangers as a free agent. It was in Texas where he seemed to find himself as a 29-year old, and Byrd went on to post four consecutive above-average offensive seasons for the Rangers and Cubs. His most recent four years have had huge ups and downs. Some years, he's been completely awful (2012, -1.0 fWAR in just 153 PA's; it's hard to be that bad in so little playing time!). And yet during other recent years he has had some of the best seasons of his career (4.1 fWAR in 2013 with Mets and Pirates). Last year, as a 36-year old with the Phillies, he more or less played to his career line, albeit with less on base skill and more power. He clearly seems to have been trading power for contact the last few years, based on the spike in both his power output and his strikeout rate, though he's not walking more to compensate for this. I can see those kinds of trends, but how does one tell whether he's likely to crater again like he did in '12? He'll be 37 next season, and it wouldn't be a surprise to see him drop off a cliff (Steamer projects .246/.294/.403 with 0.3 WAR). But at the same time, if he can stay healthy, he's only two years removed from a 4 WAR season, so he has upside (ZIPS puts him at .271/.314/.481, 2.6 WAR). If we split the difference between Steamer and ZiPS, maybe we consider him a 1.5 WAR player. That would only be a small regression from last season, so it seems reasonable to me. Given that the Reds are paying only $4 million of the $8 million he is owned next season, they're paying for less than 1 win, and hoping for more. From that perspective, it's a good contract, and they might just luck into another 3 win season from him. Here's the argument for this trade from the Reds' perspective: if the scouting reports are correct, Ben Lively might never be so valuable as he is right now. He might still crack a big league rotation in his career, but he's unlikely to be particularly valuable. And he might find that his stuff simply won't cut it in the upper minors and just flame out. "There's no such thing as a pitching prospect," the prospect guys hate him anyway, and the Reds already have a good number of these back-end rotation prospects (Jon Moscot, for example). They swapped Lively at his peak value for a guy in Byrd who has very low salary cost and is two seasons away from producing at an all-star level. He should (hopefully?) fill the gigantic hole in left field that they dealt with last season, and can be brought back in 2016 if Jesse Winker isn't ready by then. I get all of that. I'm just hoping that the Reds' scouts are right about Lively. Because the Reds could look mighty foolish if he goes on to by a solid mid-rotation starter, and meanwhile Byrd goes on to replicate Ryan Ludwick's 2014 season.